If you are a music lover, high-quality sound is essential for you to enjoy listening to your favorite playlist. Mobile phones and tablets are the most comfortable devices to play music anywhere, however, sometimes they do not deliver the sound quality we want. We need to depend on speakers and stereo sound systems to get high-quality audio. But there are limitations because of the heavy, bulky, wired and power sources needed. Therefore, portable Bluetooth speakers have come and made a revolution in our life. 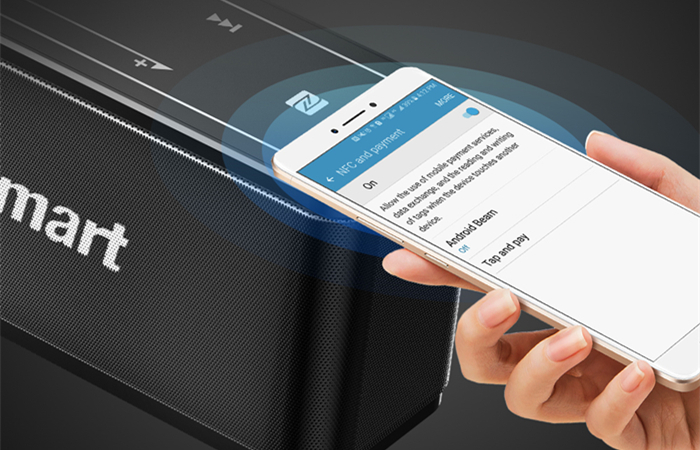 The portable Bluetooth speakers offer a comfortable and effective solution to this problem, so you can carry them anywhere and connect with your devices to enjoy music. But with all the options available in the market, how do you choose the best Bluetooth speaker? What Bluetooth speaker should you buy? These 5 tips will help you choose the best portable speaker that suits your needs. First of all, when you are choosing a Bluetooth speaker it’s suggested that you should think over what and where you will use it. Do you need a speaker for your bedroom, living room, patio, pool or do you need something that you will carry around with you for the whole day? This is the most important factor because there is no ‘one for all’ speaker, so what you need is to think over the using place and then decide the perfect one for your needs. 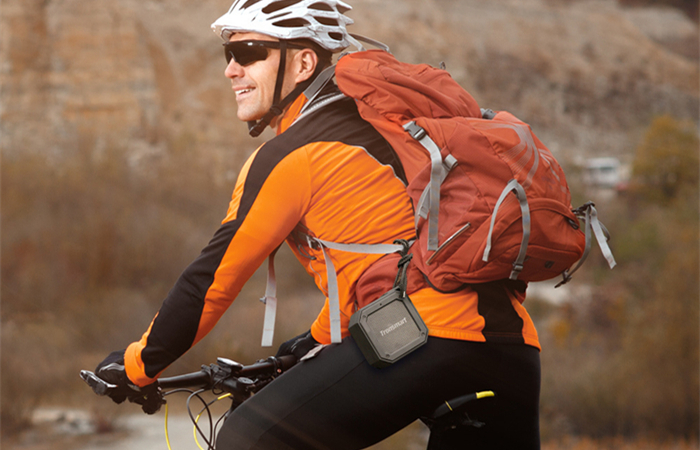 If you are looking for an outdoor portable speaker for the beach, for hiking or to attach it to a bike then here is a perfect outdoor speaker for you, the Tronsmart Element Groove. 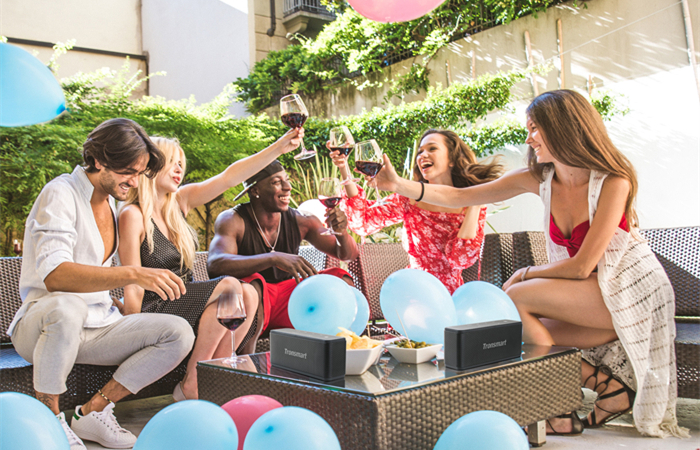 Element Groove is an outdoor wireless speaker that is equipped with IPX7 waterproof rating which means you can use it at a pool party or at the beach. It comes with a 60cm lanyard which is convenient to hang on your backpack and makes a perfect companion for hiking or camping. 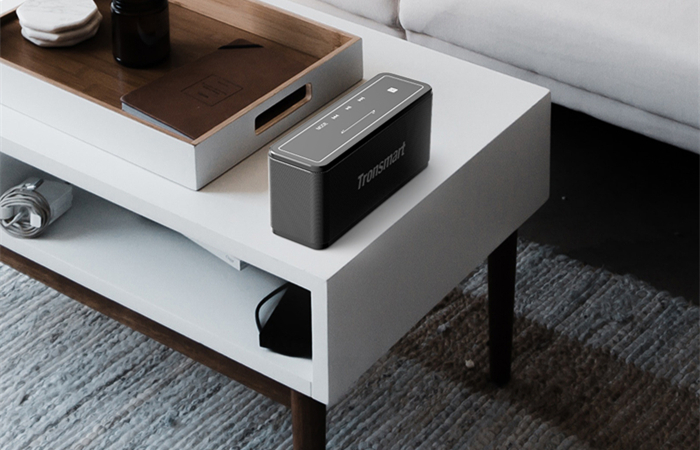 If you are looking for a Bluetooth speaker with an elegant design to put in your living room, the Tronsmart Element Mega is the best choice for you. The delicate square design with white lighting touch panel is the perfect home décor. Meanwhile, its powerful 40W sound output can fill your house if you’re holding a house party. Unless you’re looking for something very small and portable the most important thing what you expect from a Bluetooth speaker is high sound quality. There are many specifications about the sound you need to consider such as distortions, balanced sound and volume level, etc. But one of the largest difference between the speakers is that some of them can play songs mainly in one direction while others have 360° surround sound, so you can hear the same sound from every direction in the room. The Tronsmart Element T6 is a portable speaker with superior 360° surround sound and delivers powerful bass for a room-filling experience. Moreover, its intuitive volume control allows you to rotate the wheel to control the volume up and down easily. The Element T6 is an extremely portable and a perfect companion for your outdoor gatherings. 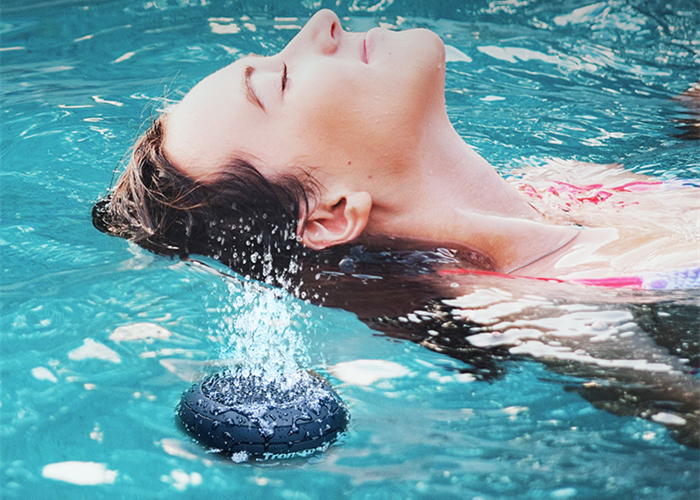 Waterproof speakers can have a variety of uses including at the showers or the swimming pool outside. If you are considering taking your speaker to the beach or a camp trip you’ll need to look for something that is protected against water. First, you would need to make clear of the IP Rating to determine which speaker suits your needs. The higher the IPX level, the more it will withstand water splashes, sprays, jets, and dunks. Tronsmart provides several IP Rated Bluetooth speakers for you. Tronsmart Element Blaze is a portable speaker with IP56 water resistance which can withstand rain, water splashes and sweat. 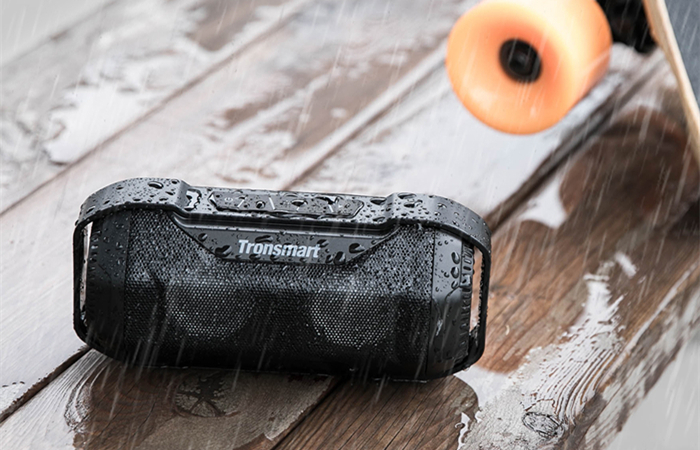 Tronsmart Element Groove is an outdoor lightweight speaker with IPX7 waterproof that is designed to withstand during rains which allows it to play your favorite music even when water splashed are all over it. 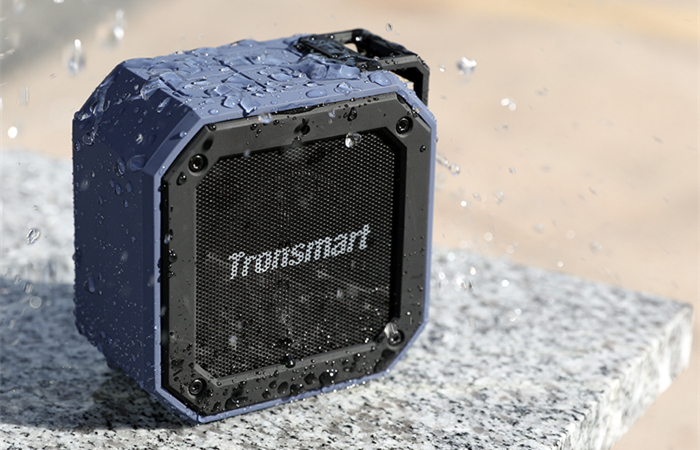 Tronsmart Element Splash is a Bluetooth speaker with IP67 waterproof rating allows it to be used even after it has been dunked under water. If you only use your speaker for a few hours on the patio or next to the pool then the battery life won’t be much of an issue. 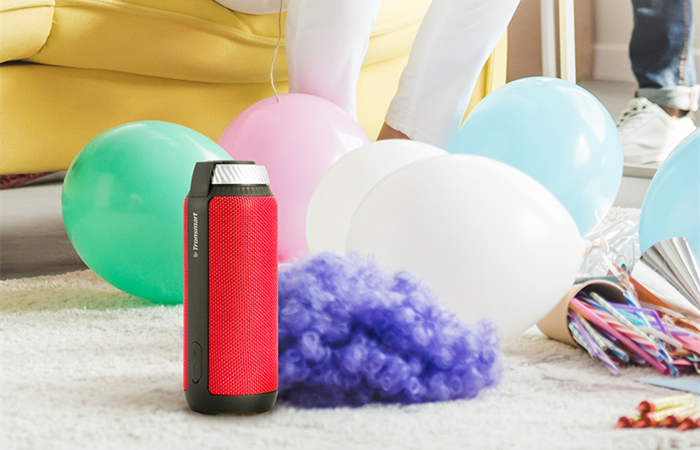 If you want your speaker to power your friends through an all-night beach party then you’ll need to confirm if it has a powerful battery for supporting the last second of the party. 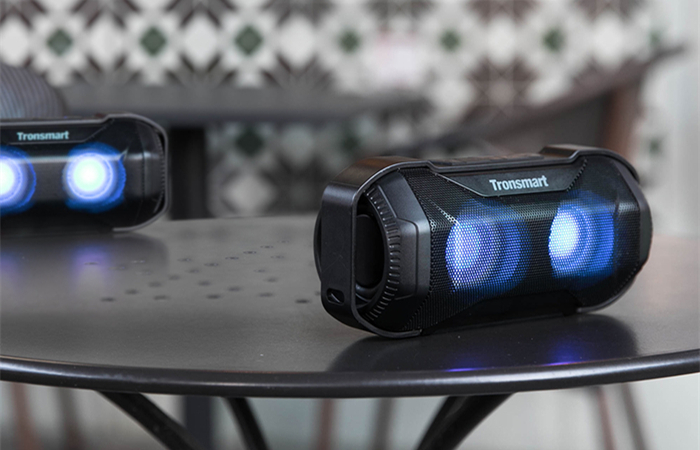 The Tronsmart Element Groove is a portable speaker with 24 hours of music playing time and can ensure a whole day and night’s worth of battery for you. Power the party till you drop. The Bluetooth speakers vary a lot in terms of the extra features and some speakers are basic while others are quite powerful. For some speakers, it’s possible to connect two together via a single Bluetooth device for a more stereo sound experience. The latest Bluetooth speakers of Tronsmart all support True Wireless Stereo, including Element Groove, Blaze and Mega. NFC (near-field communication) is a communication protocol which enables two devices to wirelessly communicate by simply touching them together. To make the connection and the pairing process easier, some speakers feature an NFC function. The Tronsmart Element Mega features NFC function which supports easy connection and streaming music with one-touch NFC technology. A built-in microphone is a basic feature you can find in almost every Bluetooth speaker. You can use the speaker to accept and end calls without using your phone. All Tronsmart Bluetooth speakers are equipped with an inbuilt microphone. If you are looking for more than a simple speaker and you want something special or cool, then you should not miss the Tronsmart Element Blaze. If you want a party speaker with cooling light effects then this is the best choice for you. The Element Blaze is equipped with three lighting effects, Keep ON, Flash slowly and Flash rapidly. Flash rapidly lighting mode can flash with the beat of your music which is suitable for electronic, rock, pop, rap music and more. In the end, with the above 5 tips we hope it helps you choose the best Bluetooth speaker.